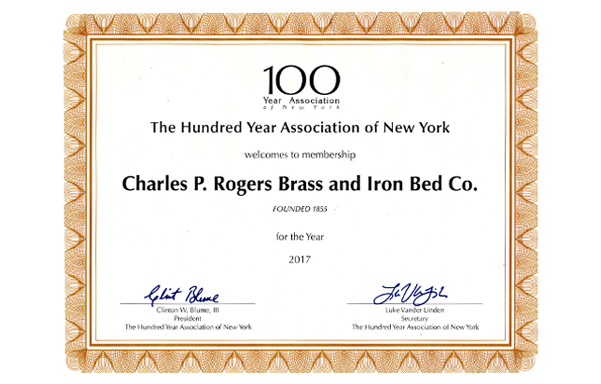 Charles P. Rogers is a proud member of The Hundred Year Association of New York. Recognizes companies and not-for-profit organizations over a century old. Awards college scholarships to sons and daughters of City employees. Celebrates the rich and diverse history of private and public institutions. Plans and coordinates events to assist members mark milestones in their history.